The cost-effective and attractive solutions polished concrete represent are appealing to property managers and home-owners. Since most modern structures are built on a concrete slab, the stage is already set for a durable, abrasive-resistant, and potentially stunning final surface, without the need for extensive installation costs and additional materials. Godoy Stoneworks and Tile Care is one of the leading providers of concrete polishing and other services in Broward, Palm Beach, Martin, and Indian River Counties. Our experienced technicians will prepare your existing concrete surface with diamond-encrusted pads and a chemical densifier, then polish and finish according to your specifications. The top layers of your concrete slab can be ground down to expose the aggregate materials, then polished for a look which can mimic terrazzo at a fraction of the cost. Let us know if you are interested in this type of concrete polishing service. Has your concrete surface developed pits or cracks or sunken areas? Our experts technicians can raise and repair your concrete surface, filling pits and holes, and returning it to like new condition. 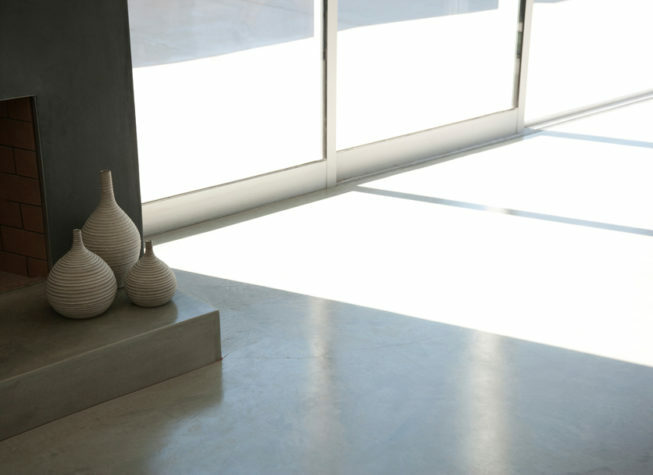 Polished concrete flooring is incredibly low maintenance — mopping with warm soapy water will do the trick. It is hard-wearing and will not chip or dent like softer surfaces. Polished concrete reduces dust mite and allergen problems, and does not support mold growth. Evidence suggests highly reflective polished concrete reduces lighting needs and enhances natural lighting. Its relatively high coefficient of friction also gives it a degree of slip resistance. A concrete floor that has been hardened and polished will have an extremely long life expectancy compared to other flooring. Doesn’t this sounds like a good solution to you? At Godoy Stoneworks and Tile Care, we can instruct you on the proper day-to-day care of your concrete and can recommend Care Products to help you keep your home or business looking great. We also provide a regularly scheduled maintenance program, upon request. For a FREE estimate on concrete polishing services in Broward, Palm Beach, Martin, and Indian River Counties, fill out our online contact form or call (561) 502-0692 or (561) 797-9592 today.